AVIATION: Whilst never actually wanting to be a Pilot, I have a great interest in all things Aviation from the Wright Brothers, particularly Second World War Aviation to current days including Aviation Spectaculars like Oshkosh! In 2013 I visited a wide range of Air Museums in Texas, USA. In 2011 I visited the marvellous Shuttleworth Collection, in 2010 I visited the San Diego Air and Space Museum which maintains a vast array of exhibits. In 2009 I attended the Biggin Hill International Air Fair, a tremendous show spread over two days, indelibly linked to the Battle of Britain and the dark days that followed for the British Isles. Later in the year I toured more areas of England and in Herne Bay I found some excellent records commemorating the life of Sir Barnes Wallis and 617 Squadron, (the Dambusters). The title, 'San Diego Air and Space Museum' eloquently describes the wide variety of exhibits, from First World War Aircraft to the Space Shuttle with a massive amount of exhibits and memorabilia. The 'clickable' image depicts the replica 'Spirit of St. Louis' exhibit. The word Museum was somewhat inappropriate, the Commemorative Air Force Hangar, Exhibits and flight certified Aircraft are truly magnificent, all the aircraft are in beautiful condition and the Pilots perform various displays. The 'clickable' image depicts an AT-6 Red Tail Advanced Trainer. Another marvellous Aviation Museum in Texas, the Museum includes a large collection of flight certified Aircraft and static exhibits. A particular highlight for me was a gorgeous F4U Corsair. The 'clickable' image depicts 'Galveston Gal', the Museum's magnificent North American P51 Mustang exhibit. A smaller Museum, however the Exhibits include a wide range of Aircraft types, of particular note were the excellent Biplane and Triplane Exhibits. The 'clickable' image depicts the Museum's replica of a 1910 AVRO Triplane. An authentic 'aged in place' Air Terminal housing various images of mainly Commercial Aircraft, exhibits of Airline Staff Apparel and interesting items related to Commercial Aviation. The 'clickable' image depicts one of the many historic images of Aircraft movements at the Air Terminal. Wendover Airfield is located approximately 160kmh west of Salt Lake City, Utah, USA. The site was chosen by Colonel Paul Tibbets for the testing and training of the 509th Composite Group and assembly of prototype nuclear weapons. No radioactive material was used at Wendover, however over 150 prototype weapons of both the 'Little Boy' and 'Fat Man' bombs were assembled and test dropped on the nearby Salton Sea and Wendover ranges. The 'clickable' image depicts Colonel Paul Tibbets and the B29, 'Enola Gay'. Founded in 1928 by Richard Shuttleworth and opened to the public in 1963, the collection includes more than forty aircraft and thirty vehicles maintained in full working order by the Shuttleworth Trust. The 'clickable' image depicts the engine of a 1909 Bleriot Type X1. Everything I had hoped for, my second viewing of the Battle of Britain Memorial Flight, (Lancaster, Spitfire and Hurricane). My first ever sighting of a Vulcan Bomber and the 25th Anniversary Celebration flypast of one of Sir Richard Branson's Virgin Atlantic 747-400 Jumbo Jets. The Red Arrows did not disappoint, performing spectacular displays throughout the weekend. Sir Barnes Wallis, the Concorde, Aircraft Displays, Brooklands has plenty to offer Aviation fans. The Museum is actively rebuilding aircraft, recovering aviation relics and includes a marvellous display of memorabilia and artefacts of Sir Barnes Wallis' many design and engineering endeavours. 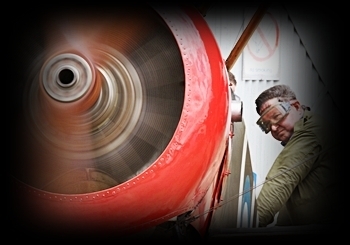 The 'clickable' image depicts the Museums Sopwith F.1 Camel, during a static engine test. The 'clickable' image is the engine of a Royal Aircraft Factory BE2b. The RAF Museum, Cosford, England. The 'clickable' image is a Hawker Siddeley Folland Gnat T1 XR977. The RAF Museum in Manston, Kent, England is dedicated to the memory of the Pilots and Aircrew of the RAF that performed heroically throughout the Battle of Britain and continued their commitment throughout the Second World War. Two separate exhibition halls commemorate the Supermarine Spitfire and the Hawker Hurricane, both aircraft played a pivotal role in the Battle of Britain. The 'clickable' image is the propeller of the Museum's Spitfire exhibit. Huge admiration for this man, a brilliant Engineer. His determination won through against so many detractors, total respect. 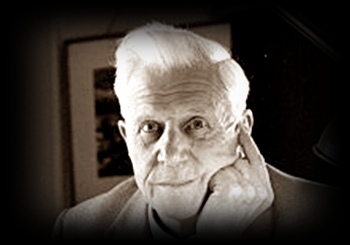 The 'clickable' image depicts Barnes at his desk. Appropriately located at the birthplace of the RAAF, the Museum houses the largest collection of Australian Military Aviation memorabilia in the world. The Museum consists of three main display areas, the Heritage Galleries, the Training Hangar and the Technology Hangar additionally the Restoration Hangar offers views of ongoing aircraft restorations. The 'clickable' image depicts the propeller and engine from a Deperdussin Type A Monoplane. The Australian National Aviation Museum is located at Moorabbin Airport in Melbourne, Victoria. Owned and operated by the Australian Aircraft Restoration Group, the Museum collection includes a significant variety of Commercial and Military Aircraft exhibits. The 'clickable' image depicts the business end of the Museum's Mirage Jet Fighter. Heralded as a visual spectacular and it delivered with a massive array of Kites and colours. The Kitefest was held at Pelican Park, Clontarf on Brisbane's northside. The 'clickable' image depicts an example of the striking colour schemes of Kites on display. Maybe, one day I will get to Oshkosh, a huge Aviation Event. The 'clickable' image depicts some 10,000 aircraft at a recent Oshkosh Airshow.